As a musical artist, singers are storytellers. We express the written words of poets, philosophers, and the great minds of the centuries. We translate a range of despair to ecstasy to a hungry audience. 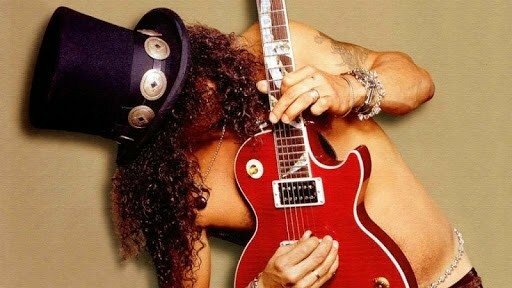 The number one job of a singer is to communicate with their audience. When one learns to do this well, this can impact other areas of one’s life. A performer who successfully communicates a story to their audience can better communicate to their friends, family, teachers and colleagues as they’ve already had practice in this talent. This ability to express oneself is key to success in and out of the studio. Before a performer is standing on a stage and communicating with an audience, they may have to push past a natural fear that some people call “Stage Fright”. Stage Fright can stem from many different fears such as unpreparedness to fear of judgement to a lack of confidence. Facing the fear of singing in front of other people is an incredibly difficult thing to do. Once accomplishing this challenge, even taking the first steps, is an immense confidence builder. Furthermore, once a student has faced an initial fear and surpassed it, the readiness to approach other fears is unending. 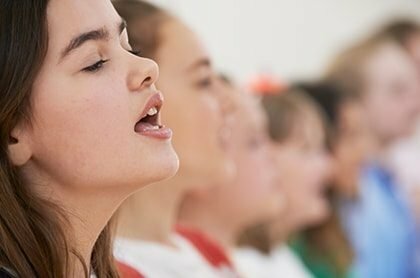 Whether voice lessons are an interest you or your student is returning to or a brand new activity, there’s a good chance singing is not something that you find in your comfort zone. Working on your singing voice is time taken outside of the typical daily schedule and not a standard skill that one might develop. When one takes this step in a direction aside from the norm, they are making the choice to test their boundaries. As soon as one pushes past their comfort zone into a land of unknown, they are more easily able to make this move in other areas of their lives. Taking risks is essential to success and using this time to test a student’s boundaries is an exciting building block for this capability. Another responsibility of an artist is to create their art. This seems to be a fairly obvious statement; art and the artist are inextricably linked. When this happens and an artist leaves their work for the world something remarkable happens. You and your art are both seen and heard. This is an exciting thing for a student; to realize that something they’ve created is shared with others. It can change your sense of self and the way you move throughout your environments, to know that what you put into the world matters. Each additional skill a student acquires from vocal study acts as a brick to build their self-confidence and create a stronghold of self-worth. This confidence in the ability to assuredly enter into unknown settings and maneuver using their learned tools is the greatest asset to a student. The musical arts are not meant to be confined to the studio and practice room. Art is meant to affect humanity on an individual basis, accessing the depths of our personage and ability to connect to one another. The more lessons a student takes, the more will be revealed to them. This little time taken out of your week can change someone for years to come. Our incredible vocal coach Ilana G. is available for voice lessons in NYC. Call us today to book your first lesson!